Preheat oven to 350 F (176 C) and line pans with cupcakes liners. Place the cake mix into a medium bowl and set aside. In another bowl combine the eggs, oil, yogurt and buttermilk. Using a hand mixer beat until fully incorporated. Add the cake mix and beat on medium speed for 2 minutes. Gently fold in the blueberries by hand. Fill cupcake liners ⅔ full and bake for 15-20 minutes or until a toothpick inserted comes out clean. Let cool completely at room temperature. Beat butter and cream cheese until smooth. Add in lemon juice. Add the icing sugar a little at a time and beat until you reach the desired consistency. 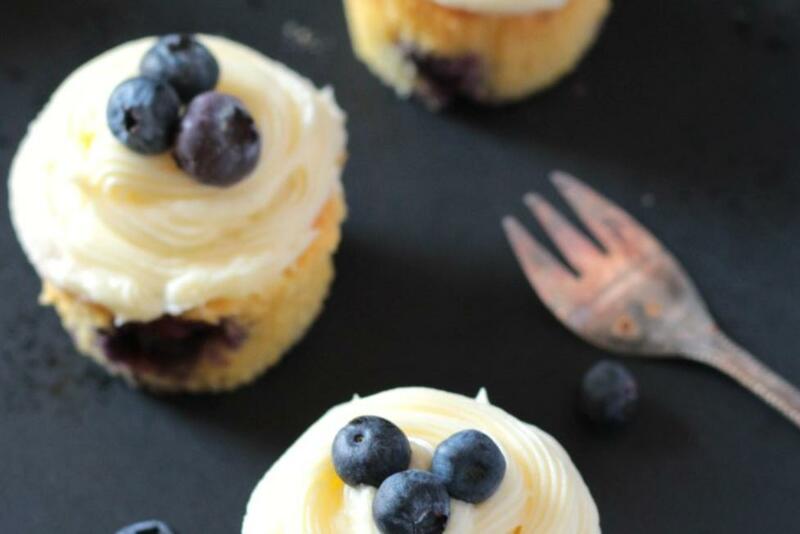 Pipe onto cooled cupcakes and top with fresh berries.